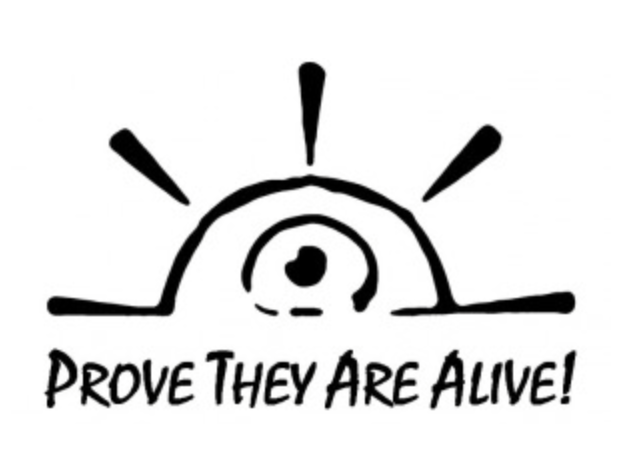 We, members of the international human rights campaign “Prove They Are Alive!”, appeal to you to use your authority when meeting with leaders of Turkmenistan, including President Berdymukhamedov, to demand that the Turkmen authorities put an immediate end to the shameful practice of enforced disappearances in the country’s prisons and immediately provide the families of the disappeared in Turkmenistan information about their loved ones, allow the disappeared to receive packages and have visits with their families and legal counsel, and provide open access to Turkmenistan’s prisons by international observers such as the International Committee of the Red Cross, including to the maximum security prison, Ovadan Depe. Our campaign has documented 88 cases of enforced disappearance in Turkmenistan and is working to investigate additional cases. It is likely that the problem is more widespread and that up to 150 prisoners are kept in full isolation, most of them for many years. This is the largest number of enforced disappearances in peaceful times in Europe and Eurasia. These people were convicted for long-term sentences, some of them for life, and since their arrests almost fifteen years ago their relatives and the public have had no information about their fate or health, and do not even know if they are alive. Numerous demands to the authorities from international organizations and civil society to divulge this information, including from our campaign, have yielded no results. These people are victims of enforced disappearance, which is a gross crime according to international law and constitutes a flagrant violation of rights enshrined under the International Covenant on Civil and Political Rights (ICCPR) and the Convention against Torture, to which Turkmenistan is a party. Concerns about this practice were first raised in the 2003 OSCE report and soon in several UN General Assembly resolutions on Turkmenistan as well as in the 2006 report by the UN Secretary General on human rights in Turkmenistan. 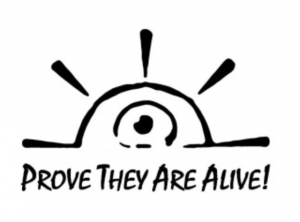 Since the Prove They Are Alive! campaign was launched in 2013, several dozen states, intergovernmental organizations, and civil society groups have supported the call to restore fundamental rights to the disappeared and their relatives in Turkmenistan. Grave concerns and strong recommendations to immediately halt enforced disappearances feature prominently in the recent Concluding Observations of the United Nations Human Rights Committee (March 2017) and Committee against Torture (December 2016). In October 2014, having reviewed an individual complaint, the UN Human Rights Committee ruled that former Minister of Foreign Affairs of Turkmenistan Boris Shikhmuradov is a victim of enforced disappearance and numerous other human rights violations and that the government must provide an effective remedy and immediately provide information to his family and the Committee. Regrettably, no response has come from the government and it has not implemented any of the Committee’s recommendations. A number of cases from Turkmenistan have also been brought before the UN Working Group on Enforced or Involuntary Disappearances, including the case of Gulgeldy Annaniyazov, and the government has provided no substantive information about these cases either. Likewise, the government of Turkmenistan has failed to implement the commitments on the treatment of prisoners serving long-term sentences it has taken up voluntarily within the framework of the Universal Periodic Review in 2013. Another shameful and related issue in contemporary Turkmenistan is the existence of “black lists,” which comprise names of people and entire families, including small children, who are arbitrarily forbidden from traveling abroad. These “black lists” include those accused of being disloyal to the regime, students who have traveled to study in foreign universities, journalists, and civic activists and their close relatives. Family members of civic activists and exiled opposition members, as well as of persons imprisoned on political grounds, are subjected to collective punishment and used as hostages to prevent their relatives from speaking up at international meetings and from using international legal instruments in their defense. We estimate the total number of people in this category to be close to 20 thousand. We ask you to urge the government of Turkmenistan to immediately stop the repressive practice of arbitrarily banning people from traveling abroad and eliminate all legislative restrictions against traveling abroad. Turkmenistan’s government, although it has signed on to numerous international agreements and conventions, continues to blatantly violate the rights of its citizens on a massive scale, with enforced disappearances and black lists of those barred from traveling abroad being among the most egregious human rights violations. These practices are used to intimidate people and instill fear in the society; as a result, they prevent any prospect of positive change in the country. In spite of ratifying all key UN human rights treaties and having serious flaws repeatedly pointed out in the documents adopted by the UN human rights mechanisms and procedures, and the same recommendations repeated over and over again, Turkmenistan is doing next to nothing to address these problems. We urge you to demand accountability from President Berdymukhamedov and hold him to the United Nations norms he claims to respect. Ending enforced disappearances in Turkmenistan’s prisons and halting the practice of arbitrary travel bans should be a key condition for development of international cooperation with the Turkmen government. We look forward to your prompt attention to this letter.